Just a white belt? You need to begin to unleash the awesome! My fifth Kuk Sool Won lesson and my anxiety levels still peak before class. Punctuality is something our instructors and I take seriously so I am always at the dojang at least 10min before the lesson begins. 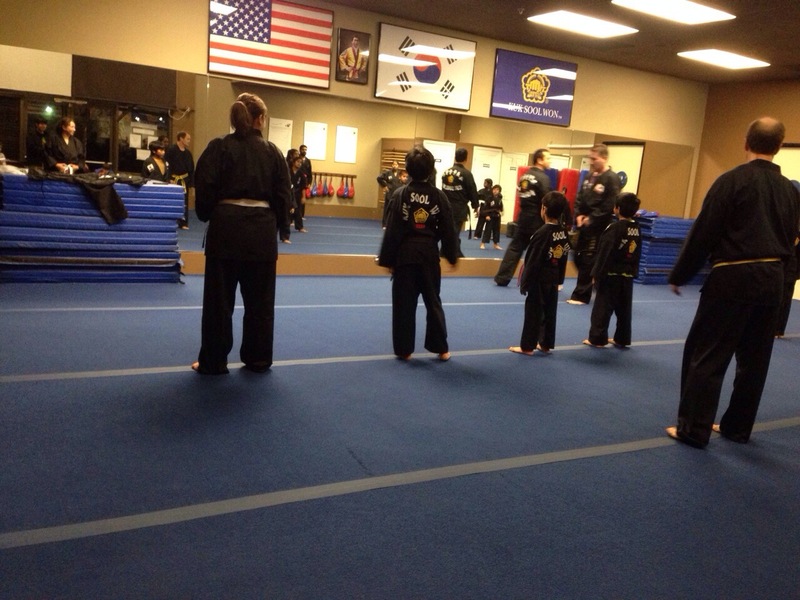 My eyes are drawn to the brown belts in training. Eyes focused, mind clear, hands fast and stance low – that’s what Master Saidi calls their attention to. Such control and flexibility is wonderful to observe. Time for my class to begin and I find my spot on the mat. Beside me a tiny and completely adorable toddler takes his place to begin his second class. We are separated in age by about forty years but in the dojang we are the same. White belts – the lowest rank. I meet another mature white belt student who has just returned from an extended overseas trip. She is delightful and just as anxious as I am because her long absence requires her to refresh some of the skills she has already been taught. We plough through techniques and forms together. It’s great fun and we have a sense of accomplishment completing the introductory stances and moves in unison. I am glad that these kind of lessons don’t apply in Kuk Sool Won class. I need all the teaching and practice I can get! I am mindful of my self-talk. Don’t think because you’re brave enough to start that it’s going to be easy. Don’t think that overcoming your lizard brain means that there will not be further obstacles or naysayers or moments of self doubt. This might not work but I’m doing it anyway. 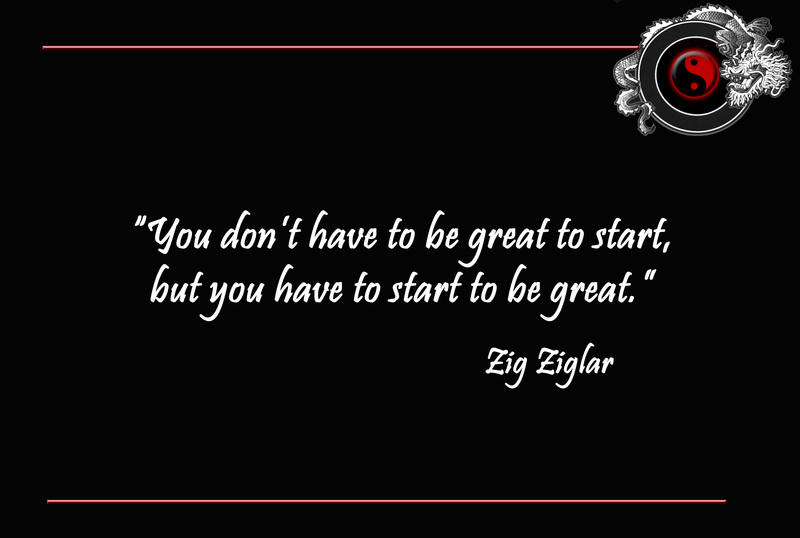 “We don’t have to be great to start but we have to start to be great.” to quote Zig Ziglar. We all have something awesome inside of us to share but if we don’t start then nobody will ever know. You need to begin to unleash the awesome! We stop our practice to observe the brown belts. Even with their advanced skills the Master still corrects certain postures and hand positions. They are still learning too. 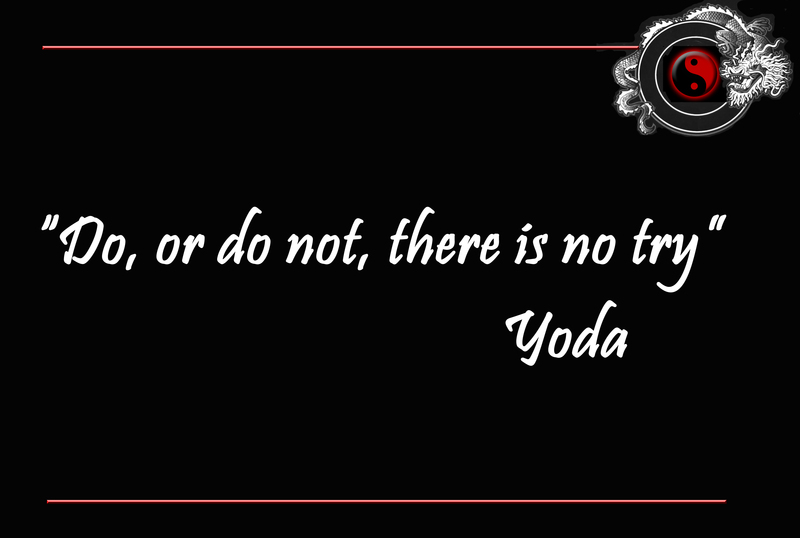 In martial arts there is no finish line – only the route to the next goal. I find this comforting. As much as we learn there is always more to know. Master Saidi tells us there will be tournament practice and that he expects the white belts to go to tournament too. This is a bit of a surprise as it’s less than 2 months away! A new learning goal is set. We get to bow out at the end of class and we stand on the tape in rank order – white belts last of course. My spirits have buoyed. Even the longest journeys begin with a single step. Have you taken your step?